In this page concurrency of straightlines question2 we are going to see solution of second question on the quiz concurrency of straight lines. 5 x - y - 1 = 0 are concurrent.Find the point of concurrency. Let us see how to solve concurrency of straightlines question2. In the first equation coefficient of y is 1,in the second equation the coefficient of x is -1 and we have different signs for both equations. Then we are going to add the first and second equation since we have different signs. 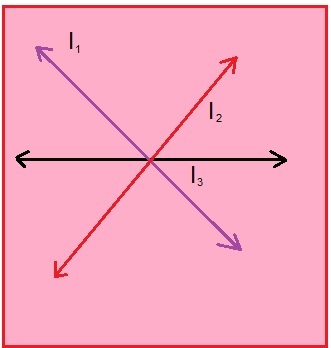 Students can go through the solution discussed above in concurrency of straightlines question2. If you are having any doubt you can contact us through mail, we will help you to clear your doubts.